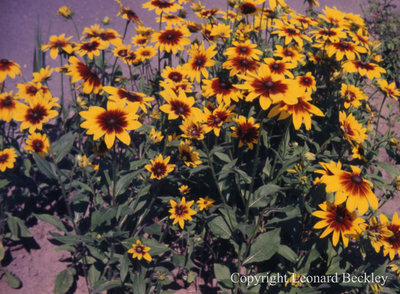 A colour slide of gaillardia flowers in Leonard Beckley's garden in Whitby, Ontario. Leonard Beckley's Garden, July 1981, Leonard Beckley. Whitby Archives A2014_004_232.